Many communities all over the country are struggling to recruit and retain volunteers for their fire departments. Is this something your fire company is struggling with? We know just how important well-staffed fire departments are to communities, both large and small. Volunteers are your most important resource for keeping your fire department running and keeping your community safe. Here are some tips for gaining new volunteers and some ideas for keeping them on board, as well. People probably aren’t going to beat down your door asking to become volunteers. You’re going to have to do a little work to recruit new people. 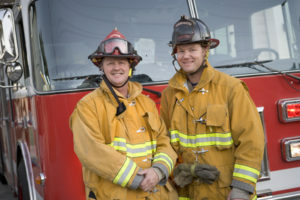 Here are our ideas for reaching out to the community and convincing people to join your team of volunteer firefighters. 1. Design a “brand” for your department. Branding is something that fire companies rarely think about, but it’s relevant nonetheless. When trying to recruit volunteers, you need to have a marketing mindset. Don’t panic—branding and marketing doesn’t have to be sophisticated. It can be very simple. All you need is a logo (it can be a very simple graphic of a fire helmet or something similar), and consistent colors and fonts that you use on every piece of promotional material you put out. This will be handy anywhere that you “market” your fire company (flyers, signs, parade floats, social media and website, etc.). 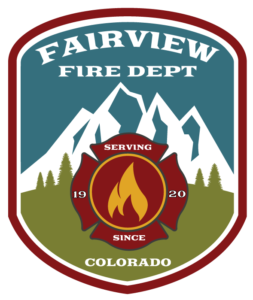 A logo and consistent branding will help your fire company stand out and develop a reputation around the community, as well as on the Internet. Create a brand and identity that people will want to be a part of. 2. Have a good website. This advice may seem self-serving since Fireline Hosting provides website templates for fire departments, but hear us out. In today’s world, so many people (especially younger people) research using the Internet. People may be interested in serving your community by becoming volunteer firefighters, but they Googled it and didn’t find anything about the local options. Instead of calling around or trying to find out by word of mouth, they might just forget about the whole thing and never volunteer. However, if they find a great, informative website about your fire department, that will intrigue them, give them the information they were looking for, and make them more likely to contact you and sign up. Make it easy for them: explain in detail what it’s like to be a volunteer, and then ask them to fill out a quick form so that someone can reach out to them. If you can make your fire department look like a welcoming environment and a wonderful opportunity for people to serve their community, you will get much more attention from potential volunteers. 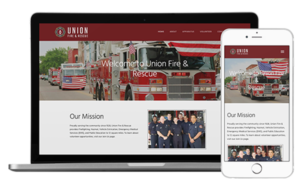 As a bonus, a website can help you improve your efforts towards firehouse fundraising and community involvement. Use social media to help you get the word out that you are looking for new recruits. It’s likely that many community members don’t know you are looking for new volunteers, and social media is a great way to reach them. You should definitely create a Facebook account and start posting. You should also consider posting YouTube videos that can help show what it’s like to be a volunteer. Maybe you can hire a videographer and have existing volunteers share their stories. 4. Boots on the ground. Create a recruiting committee and have them hand out flyers and talk to people. Select members from various age groups who are friendly and like people. Make sure to choose the right people for this job, or it’ll hurt your goals. Positive word of mouth can be the most effective recruiting tool around. Once you have a logo and some branding in place, your signs and flyers will be more eye-catching and will attract more potential volunteers. Put up these signs outside your department, and ask if you can post flyers in other places like local businesses, community centers and public libraries. Maybe a high school art class can help you design eye-catching flyers to help you recruit volunteer firefighters. There are even more benefits to that approach—those high schoolers just might decide to volunteer in a couple years, and you’re making great community connections. 6. Hold an open house or set up a booth at a local event. Have people come visit your fire department, and make it seem welcoming to newcomers. Or, set up a recruitment booth or kiosk at a local event, which will allow you to reach out to more people and talk to them one-on-one about how great it is to be a volunteer. Foster a comfortable, friendly atmosphere. As a leader, make it clear to your team that they all need to play a part in welcoming new firefighters. Make it clear to them that recruitment and retention is important and they need to help the efforts if they want to see the fire department succeed. Chances are, this won’t be effortless, but it is crucial. If new recruits feel like outsiders, or they just don’t have any strong connections to anyone on the team, they will likely quit. But if you can develop a tight-knit team full of people who are willing to welcome new members, you’ll have yourself a winning volunteer firefighter team. With some time, effort, and dedicated help of your team members, it is usually possible to create a supportive, friendly, and welcoming work atmosphere. It’s always a good idea to create a welcome committee. This can work as either an official or unofficial committee. Depending on the size of the department, you might need one or several people to help you out here. Maybe there are one or two people in your department who are friendly and great with people. Assign them to welcome and befriend the new recruits. If no one wants to be on the welcoming committee, or a “people person” is missing from your team, try to recruit someone to fill that gap. Sometimes, you have the opposite type of person—someone who is so unwelcoming as to be a negative influence to the whole team. If you can’t bring that person around, you might have to let him go in order to build a successful team. Hopefully, you won’t ever run into the problem of a serious employee shortage. But if you do, we hope that these tips can help.